Connection is your ability to build a relationship with your child, one human being to another. It is the acknowledgement that they ARE a little human, entirely separate from you, with their own likes, dislikes, personality traits, strengths and struggles. Connection is your ability to love, accept and raise the kid you actually have, not the one you dreamed about or hoped for… the incredible human directly in front of you, keeping pace as they grow and change right before your eyes. Connect is your ability to listen to your child, and to collaborate with them to solve problems and provide guidance. Connection is making time to be with your child, to do the things that are meaningful to them and making time to introduce them to the things that are meaningful to you! Connection is your families traditions, celebrations, rituals and routines, as well as your ability to use these routines and traditions to create stability, to be an anchor for you and your child when times are difficult or life overwhelms. Authority in your home is your ability to effectively manage and maintain healthy control of your home and family. It is your ability to set and enforce limits, and to have your children respect and respond to those limits. Leadership is about being consistent and keeping promises, even when the promise is something unpleasant such a consequence for misbehavior. Leadership is about being someone that your child knows they can rely on, that you will do what you say your will do and show up when you say you will, both physically and emotionally. Leadership is your ability to know what you believe, your personal code of moral, ethical or religious beliefs, and the way that you transfer those beliefs to your child, through example, teaching and guidance. Leadership is your ability to model your beliefs and morals in a consistent manner, allowing your child to learn from you through constant observation of those morals lived out in the real world. The Different Paths Approach is all about balance. It is finding out where you are on the Connection/Authority spectrum, where your strengths are and what you are struggling with. Then making a plan to achieve a balanced parenting path. A path that is filled with joyful connection while maintaining calm and consistent leadership and authority in your home and family. The Different Paths approach works with your natural instincts and personality traits, helping you build a plan that leverages those strengths while developing balance in areas where you are not as naturally drawn. Some parents are great at connection, but struggle when it comes to maintaining authority and provide leadership, such as setting and enforcing limits. Other parents excel at constantly setting and enforcing limits, but sometimes loose sight of connection in the midst of maintaining predictable routines. Some parents have great balance with one child, but their approach doesn’t work as well for another child who has different traits and characteristics. 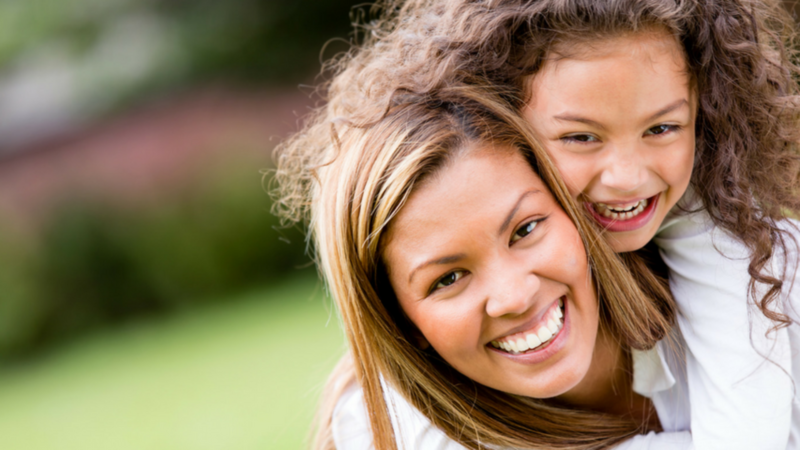 The Different Paths approach can help, support, and guide, all of these parents toward a parenting path that balances all of their needs and restores peace and harmony in your home.